Our Cycling Classic helmet visor is designed for maximal UPF50+ sun protection coverage. The largest of our bicycle helmet visor models, the Cycling Classic provides broad 360° sun protection. Use our helmet visor with virtually any bicycle helmet to increase your enjoyment of a ride in the cool comfort of shade. Engineered to withstand the wind forces imposed by outdoor activities. Comfortable in combined wind speeds of up to 25 mph (sum of your speed and wind from all directions.) Note: This model is not designed for high speed downhill descents or performance cycling. For recumbent riding, add our front stabilizer. 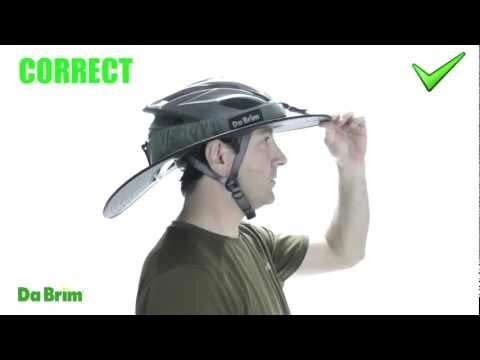 How to correctly configure your helmet for use with Da Brim. 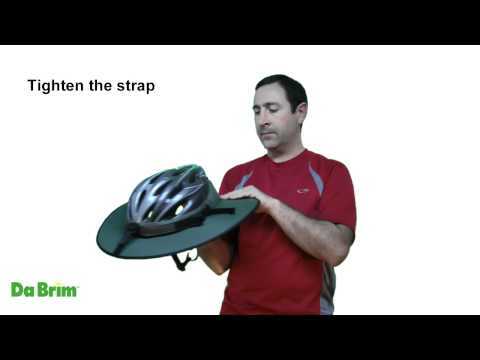 Instructional video showing how to install the Da Brim Cycling model on an elongated bicycle helmet. 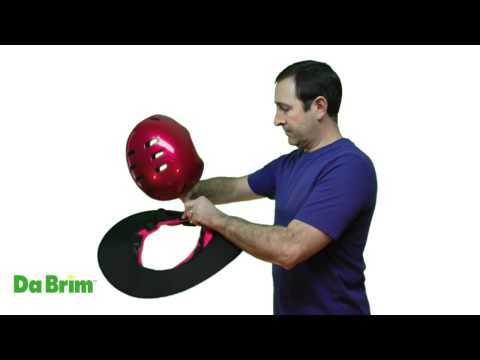 Instructional video showing how to install the Da Brim Cycling model on a rounded cycling helmet. One of our customers, Gary H. from California, rode over 9600 miles on a circumnavigational tour of the US and wore his Da Brim the entire time! Of his experience with his Da Brim cycling classic, he says: "I never took my Da Brim off. I also never wore any sunscreen on my face. At the end of the day I didn't have a burn and I felt good! It's a dead slick product, man!" You can read about his amazing adventure here.